Welcome to the February challenge of the Scraps to Treasure Team. You should have arrived here from Robin's blog, Scrap & Chat . Our theme for this month is Babies Galore! Robin, Our Team Leader is expecting her 6th Grandchild any time now. 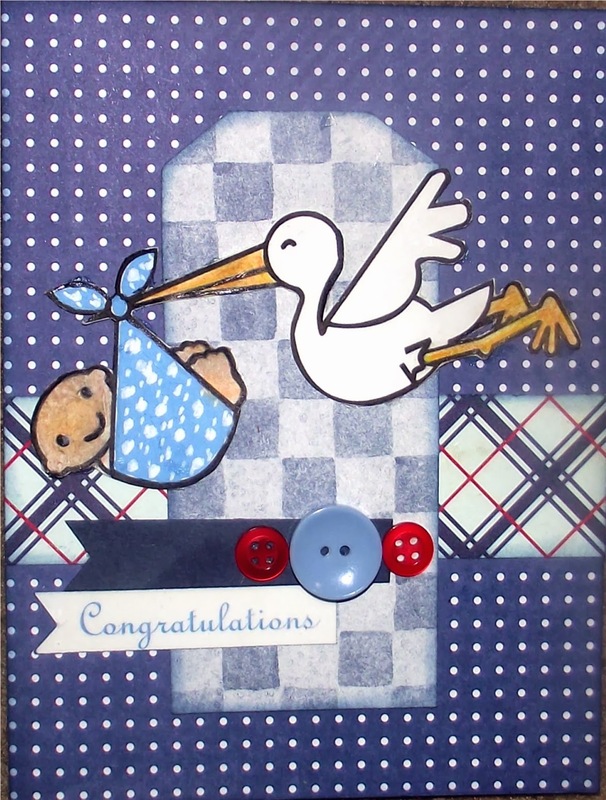 We are creating cards, layouts or other projects to welcome a new baby - using only our scraps. My Pastor just had a new Grandson so the timing on this challenge was just perfect. I decided to create a card. I chose a batch of scraps from my basket. Next I selected this sketch from Mojo Monday. Now go and gather up some of your scraps and create your own baby creation and stop back at the Scraps to Treasure blog and enter it in the challenge for a chance to win a great prize.